state market. This report uses market-wide data based on transactions that closed in 2013 and compares them to closings that took place during 2012. Since closings usually occur four-to-eight weeks after a contract is signed the sales activity charted here reflects transactions that closed during and through the end of 2013, and does not include contracts signed that have not closed. ards a more balanced market in terms of supply. The sub $500K market is where the majority of the sales continue, there is just over a seven months of supply, basically an even market. Below $300K there is a shortage of inventory with only a four months supply. The above $500K market has 11 months of supply of inventory, still a buyer's market. The Lamoille market (excluding Stowe) had a strong year with a 36% gain in units sold, with gains in the higher-end portion of the market finally breaking through. The majority of sales still remain below $200K. The Waterbury market remained stable with only slight drops in median and average pricing, but a 9% increase in units sold. Smith Macdonald Group ranked 4th in the state of Vermont among all Coldwell Banker teams, the only team located outside the Burlington area, second in sales among all brokers in Stowe and Lamoille County and top 25 in all of Vermont. Whatever your real estate needs in the coming year, Smith Macdonald Group is the market and technology leader and we encourage you to take advantage of every resource we can offer you. SMG's Stowe, VT Luxury Property Featured on Bloomberg! 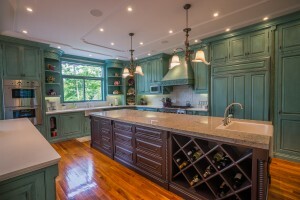 Smith Macdonald Group's Stowe, VT Luxury Property, Le Château des Monts Verts, was featured on Bloomberg, under luxury homes for sale with chef-worthy kitchens. This elegant cou ntry property is unique in quality, luxury and style. Reminiscent of a home in the French countryside, it was designed by world class architect Bruce Anderson, it is located more than 1,000 feet above Stowe Village and from virtually all rooms enjoy exceptional panoramic views west to the Green Mountains and Stowe Mt. Resort. The property sits just below 13,000 acres of environmentally protected Putnam State Forest providing total privacy. The open main level overlooks the large deck and includes a luxurious chef's kitchen equipped with Meile, Sub-Zero and Thermador appliances, living room, dining room and a solarium that brings the outside in during every season; this main level is ideal for entertaining. From this level one can ascend via a custom crafted grand master staircase to two master suites each with Jacuzzi baths and excellent mountain views. 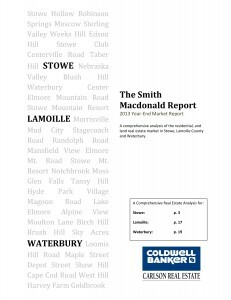 Welcome to the Smith Macdonald Report, our examination of the 1st six months of the Stowe, Lamoille County and Waterbury's residential and land real estate market. This report uses market-wide data based on transactions that closed in the first six months of 2013 and compares them to closings that took place during the first six months of 2012. Closings usually occur four-to-eight weeks after a contract is signed for that reason, the sales activity charted here reflects transactions that closed during and through the end of the 1st & 2nd Quarters, and does not include contracts signed that have not closed. As the economic recovery continues to take hold and markets around the country rebound; the Stowe market is starting to follow suit. As many of us know the Stowe and Vermont markets tend to lag behind many of these national markets. The market saw gains in units sold of 39% compared to the same time period in 2012. 39 total residential homes sold in the 1st six months of 2013, exceeding market high sales volume from 2007. While the majority of the sales remain below $500K, 61%, down from 68% a year ago, the $500K to $1 million price point almost doubled from six to 11 sales, increasing its market share to 28% from 21% a year ago. We also saw the median and average prices only slightly decline by 2% and 4% respectively. There was a slight uptick in inventory, due to seasonality and a strengthening market, of 9% from a year ago. The more positive market indicator is the overall months of supply have decreased from 23 months to 18, equaling a 22% decline. Lamoille County continued to improve in 2013 compared to 2012 with a 34% increase in residential sales volume. It did however see a slight decrease in median and average prices, dropping 3% and 5% respectively. Inventory in Lamoille County continues to be a concern with over 298 units available, with 221 units being priced from $300K and below. Waterbury residential sales volume had a strong turn-around, with an increase of 67% in units sold compared to this time a year ago. This did result in declines in median prices of 20%, but increases in average prices, 7% compared to the first six months of 2012. Sales between $200K and $300K helped anchor the market in Waterbury, with 7 of the 35 total sales happening in this price point, thus causing the median prices to decrease. The recent movement in interest rates will require further monitoring before its full affect is known. The Smith Macdonald Group and Coldwell Banker Carlson Real Estate have started to take a different approach to positioning homes in this ever strengthening market by looking at absorption rates and odds of selling, a key factor to helping you buy or sell. Contact us to understand how this affects your property. One factor will always remain; we are your trusted real estate advisors and are ready to provide you with unmatched expertise and advice. We hope you find the Smith Macdonald Report helpful and we welcome any questions you may have regarding it. Click here to access the 2013 Mid-Year report and other Smith Macdonald Report's. Hi my family associate! I wish to declare that this article is astounding, pleasant published and come having the majority of vital infos. I would like to find extra threads like this . Selling a House, Now is the Time. Good tips in here for why you should consider selling. We at Smith Macdonald Group feel the shift in interest rates is the largest reason why. The current shift up in rates means the buying power of buyers decreased between $40K to $60K. That's a significant shift, a buyer who on June 1 could have afforded a $300K house can now only afford a $250K house. That's real money on both sides of the transaction. Selling a House? 5 Reasons You Should Do It Now. My friend suggested I'd probably by way of example this website. He once was solely suitable. This particular publish really. manufactured our morning. You are able to certainly not contemplate just how a bunch. period I had created used due to this information! Appreciate it! 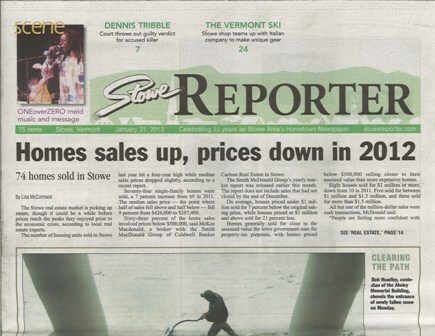 This week's Stowe Reporter featured an article by Lisa McCormack about the real estate market in Stowe. The article also featured Broker McKee Macdonald and his views on the past year in real estate as well as what we expect to see in 2013. Also used in the article were statistics from the 2012 Year-End Smith Macdonald Report. The Stowe real estate market is picking up steam, though it could be a while before prices reach the peaks they enjoyed prior to the economic crisis, according to local real estate experts. The number of housing units sold in Stowe last year hit a four-year high while median sales prices dropped slightly, according to a recent report. Seventy-four single-family homes were sold, a 7 percent increase from 69 in 2011. The median sales price -- the point where half of sales fell above and half below -- fell 9 percent from $426,000 to $387,400. Sixty-three percent of the home sales involved prices below $500,000, said McKee Macdonald, a broker with the Smith MacDonald Group of Coldwell Banker Carlson Real Estate in Stowe. The Smith McDonald Group's yearly market report was released earlier this month. The report does not include sales that had not closed by the end of December. On average, houses priced under $1 million sold for 7 percent below the original asking price, while houses priced at $1 million and above sold for 21 percent less. Homes generally sold for close to the assessed value the town government uses for property-tax purposes, with homes priced below $500,000 selling closer to their assessed value than more expensive homes. Eight houses sold for $1 million or more, down from 10 in 2011. Five sold for between $1 million and $1.5 million, and three sold for more than $1.5 million. All but one of the million-dollar sales were cash transactions, McDonald said. "People are feeling more confident with the economy," McDonald said. "We're seeing people who have decided that they're not going to put their personal plans on hold waiting to see what happens with the government or the tax codes. There's a nice storm of people with money and the ability to get loans at low rate." While second homebuyers tend to gravitate toward Mountain Road neighborhoods, in 2012, residential sales were spread evenly throughout Stowe, he said. The number of Stowe houses for sale shrank 20 percent from 2011. Based on the law of supply and demand, that should eventually help to move prices upward, McDonald said. Excluding Stowe, sales of residential housing units in the rest of Lamoille County rose 8 percent, with 118 units sold compared to 109 in 2011. The median sales price increased 1 percent, from $188,000 to $189,250. While the market is moving in a positive direction, the inventory of homes has increased by 22 percent, from 208 to 253, which may counteract the momentum, according to McDonald. After several years of stagnant growth, sales of Stowe land parcels increased by 317 percent. There were 19 sales of open land, compared to six sales in 2011. Median prices rose by 24 percent, driven by sales over $500,000. Meanwhile, inventory decreased by 9 percent; 75 land parcels remain on the market compared to 82 a year ago. While condominium sales increased last year, sale prices dropped. Thirty units sold in 2012, up from 24 in 2011, a 25 percent increase. However, the median selling price dropped 30 percent, from $372,500 in 2011 to $262,000. Most condos sold for less than their town-assessed value with units between $200,000 and $400,000 taking the biggest hit; on average they sold for 9 percent below their assessed value. Stowe real-estate offices report a busy year. Last year's sales were just eight units shy of the market high of 82 homes sold in 2005. Stowe's reputation as a four-season resort community continues to draw second homebuyers while the town's excellent school system attracts primary homeowners, said Pall Spera, owner of Pall Spera Co. Realtors in Stowe and Morristown. Business at Spera's three offices increased between 30 and 40 percent last year. Improvements made at Stowe Mountain Resort have helped to generate interest the housing market, Spera said. "Our pedigree has been enhanced by what they've done up there," Spera said. "Businesses in the entire county are looking at ways to improve their quality of service as a result of the economic challenges from the past few years. You're not going to survive if you don't get it." Despite the upswing in sales last year, it's still a buyer's market. Making sure that a home is in good condition and pricing it right are essential, given the relatively large number of houses from which buyers can choose, Spera said. McDonald is seeing a healthy mix of both primary and second-home buyers. Primary homebuyers tend to make up most of the under $500,000 market and several first-time homeowners have taken advantage of the under $300,000 market, McDonald said. "They've been renting and now they have enough saved for down payment and are looking at the opportunity to buy into the Stowe market," McDonald said. Historically low mortgage interest rates are also helping sales, he said. While the $500,000 and above market tends to attract second-homebuyers, they're looking for good deals. "It's a turn in the right direction but not a turn to the height of the market where prices were exploding," McDonald said. McDonald expects to see an increase in second-home sales in 2013 as the stock market strengthens and investors look for real estate deals. "People see the value here," McDonald said. "They see the cultural aspects that Stowe provides. We expect that sales volume will continue to grow and the stabilization of the market will continue. "We fully expect the sub $500,00 price point to be the driver, but I wouldn't be surprised to see high-end cash purchases to come back and luxury homes to command a larger portion of the market." Home prices will likely be lower than during the real-estate peak of 2005, but higher than when the market tanked in 2008, predicts Spera. "I don't see that we'll have a jump up in pricing this year," Spera said. "We'll have a gradual solidifying of prices, which will build confidence in market." He also expects more people to put their homes on the market. "Many people have been holding off on selling and they might sell now that market is recovering," Spera said. "This spring you'll see quite a few new properties coming on the market." 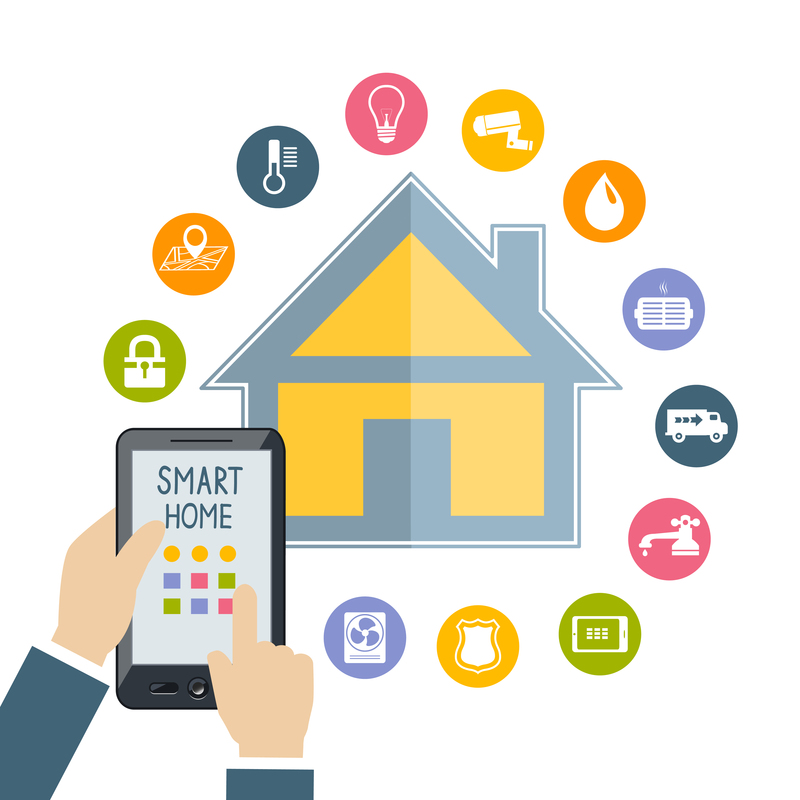 Buyers will also continue to consider a home's tax bill when making a purchase, and they'll put an emphasis on whether a home has cell-phone signal and wireless Internet access, Spera said. For years Coldwell Banker Carlson Real Estate has been providing bikes for kids through our "Bikes for Kids" program. Once again this Christmas we have delivered to the Lamoille Family Center in Morrisville, Vt., five bikes for families in Lamoille County. These bikes have been donated to us from our sellers, buyers, and Good Samaritan's. During the sales process we sometime discover barely used bikes in homes we represent. We have found that the owners are very excited to donate to our program. Our donations are not only in the form of bikes but cash donations. 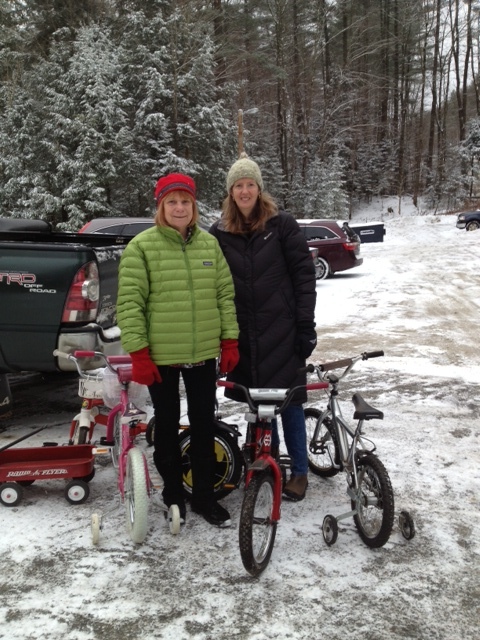 We delivered the bikes this morning to the Family Center after a Christmas snowstorm. What a wonderful feeling to know that some child will have many hours of pleasure on their new bike and that we were able to make it happen. Thank you to all of our clients and customers who have made this happen. If you have barely used bikes that are in very good condition or would like to make a donation please let us know. Learn more about Bikes For Kids.